Do you need help with your PC or Mac? Our technicians are highly trained on both ! 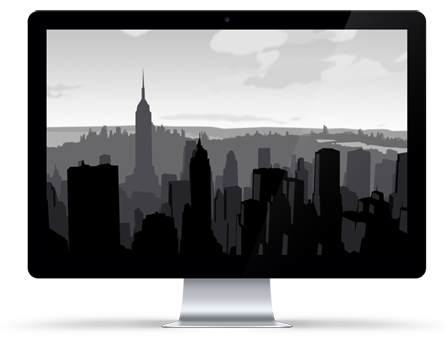 We are a New York based technology firm focused on delivering custom solutions and support to our customers. We strive to keep our customers on the cutting edge of technology, allowing them to run at the highest level of performance. We offer 24/7 tech-support along with tailor made services ranging from website and logo design, to small business installations. Everyone likes to protect their investments. Weather your investments are your family members, or employees- get piece of mind with a scalable network security system. Relax and let Tech-Tuneups install your TV or theater system. We can mount your TV or projector, set up your audio and video products, connect them all to your network and much more. Is your computer acting strangely? If you suspect a virus on your computer, stop right away to prevent further damage and call us to remove it. We’ll also ensure you are protected going forward. We offer 24/7 Tech Support Memberships.